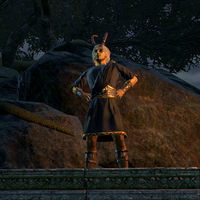 The Triad is the name for the alliance of Clavicus Vile, Mephala, and Nocturnal. 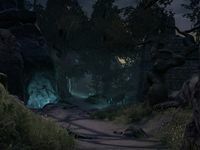 The three Princes have formed a triad to wage war against their fellow Daedric Princes and reshape Nirn in their own image. 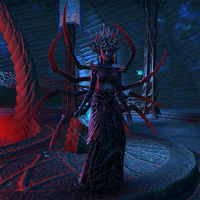 As such, this group serves as the main source of conflict for the Daedric War storyline. 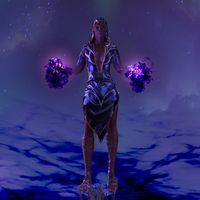 The Triad is able to act as it does because these three Princes were not present at the signing of The Coldharbour Compact, an agreement with Sotha Sil forbidding them from directly interfering with Tamriel. 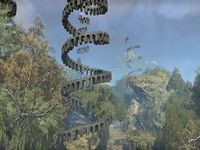 In the Summerset chapter, the cult of followers this triad has attracted is referred to as the Court of Bedlam. 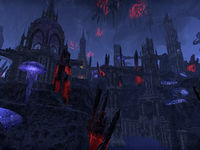 These groups, along with a Sea Sload alliance called the Abyssal Cabal, attempt to invade Summerset and Artaeum towards the ultimate goal of unlimited power and remaking Nirn in their image. This page was last modified on 27 March 2019, at 19:52.